Friends many of you already well versed with the windows UNDO/REDO functionality in word/excel etc. 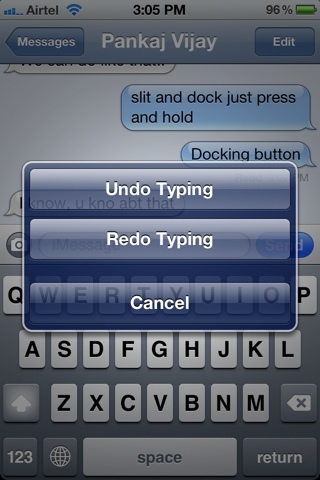 But many of you don't know how to UNDO/REDO typing in iOS. This is very much usable when you are writing text/email and need to delete/undelete some text just entered. 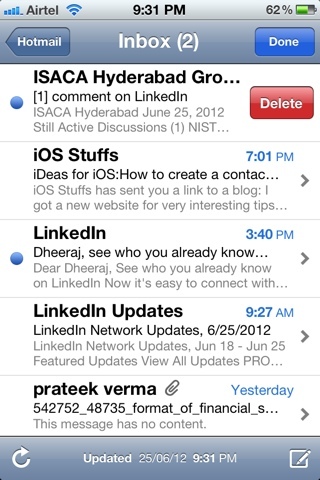 The delete function in mail/apps also not very well versed by many of iDevices users. When typing in any application, or when using cut, copy and paste, you just need to shake the iPhone / iPod / iPad..(LoL) to UNDO your typing. Your phone will pop up a query to double-check. 1. Delete function in-app: When you are reading email a spam/ marketing/ useless email come/ writing post on FB / Twitter you write something wrong. Now what to do. In email just slice from left to right / right to left and a red delete button come up click on it and Bingo! email deleted. 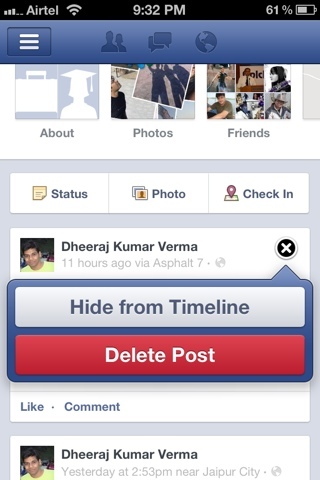 Just the same in FB/Twitter slice your comments/post and delete button come up. 2. 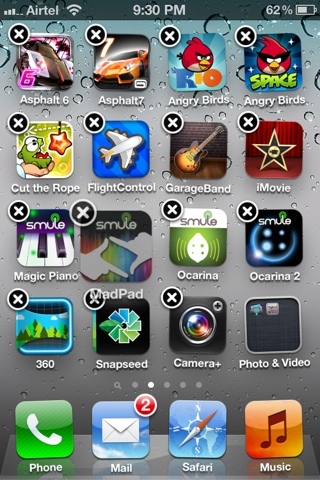 Delete a app: You need free storage on your iPhone/ iPad / iPod for new apps and s**k with you old app. Just press and hold on the app need to be deleted and sooner the app icon is shaking up click on the top x mark and your phone pop up a query to double check, as well in case of game asking for game center updates need to be deleted or not. When you need to copy any text/image just press and hold it and a pop come for copy then click on it and where you want to paste it just press and hold there and the pop up come for paste. This option can also use to forward messages instantly otherwise going through edit>select>forward. PRESS & HOLD has many uses in iOS which I don't cover up here just try your self. Sometime you see select/ select all/ suggest/ define/ bold/ italic/ underline/ quote level options as well you can you can use Press~Hold~Slide to move cursor to your required step/destination. 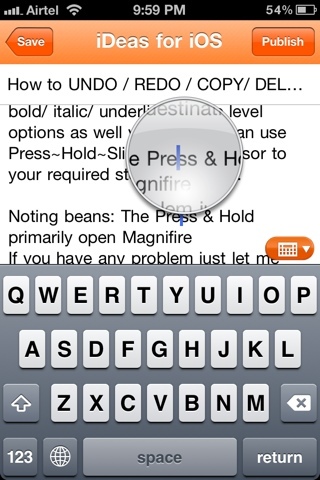 Noting bean: In some text cases Press & Hold primarily open Magnifier you need to release it so copy menu can shown. If you have any problem just let me know through comments.